Looking for 4th of July apps for a road trip, seasonal fireworks celebration without overload, a seasonal social story, or just for fun? Real Fireworks Art Show HD (iPad; free) – Create fireworks light show, draw in a 4 in 1 app. Fourth of July Mahjong – (iPad/iPhone; free) – Play a Fourth of July mahjong matching game. Great for individuals with visual preferences. Fireworx Light Show (iPhone/iPad; free) – Display a fireworks light show on your iDevice and control the noise or surprise of the real thing. 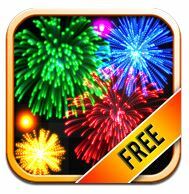 Fireworks Arcade (iPhone/iPad; free) – By Big Duck Game is a fireworks game app. I See quence … Going to Fireworks (iPhone/iPad; 1.99) by I Get It! is a social story app for those needing understanding of going to fireworks. 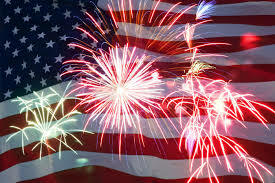 Fourth of July is a fun day, however fireworks, the unexpected sound and booms of firework can be a challenge for those with hearing sensitivities. Noise cancelling or reduction headsets can be a huge aid to help with tolerating the noise and management of the anticipation of the sound and vibration that comes with firework displays. The folks over at i Get It! , developers of I See quence … Going to Fireworks have great suggestions for managing the fireworks events as listed below. Whether you have their app or not, there are many ways to produce the suggestions they provide on an iDevice or in hard copy – whatever will work! Preview the events at an upcoming fireworks event by organizing and discussing the icons in the i See-quence…Going to Fireworks app. Start a few days before the event and continue reviewing until the day of the fireworks. Use i See-quence… Going to Fireworks as a visual support to target narrative discourse objectives. While at the fireworks, pictures of the child can be taken easily using the camera button in the app on your camera-ready device. Custom pages are easily created in the “Settings” section. Written reminders can be added in the text box of each page. Using the pictures and text, the child can be more independent and descriptive in recalling the details of the event afterwards. Fireworks often have periods of wait time. Provide your child strategies while waiting for the fireworks to start or after the event. Use custom pages to include these ideas in the activity sequence. Use the custom icons to include pictures of family and friends you will see at the fireworks. Prior to the event, brainstorm conversational ideas for each and list in the “Notes” section. Encourage executive functioning skills by using the app to plan for the fireworks event. Make a packing list of supplies using the notes section. Address possible behavior issues by including rules and behavioral expectations using the notes section. Picture modeling of expectations can be illustrated on a custom page by taking a picture using a “camera ready” device. Another choice are the noise reduction ear muff sold at Walmart in the sporting goods department. Some of my students or client not only like the noise reduction of these headsets but also the pressure on their head or ears when wearing them. This entry was posted in App Reviews, Apps for Special Needs, Cause and Effect apps, Free apps, Holiday and Special Events, iPad, iPhone, iPod, iPod/iPad Accessory, Social Story, Special Events, Uncategorized. Bookmark the permalink.